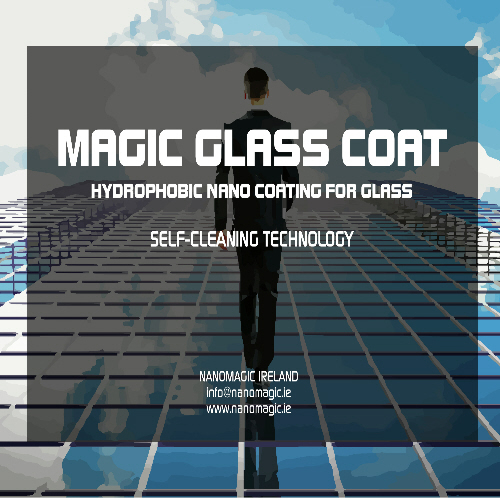 A nano coating with hydrophobic and self-cleaning properties developed for glass surface. The coating's self-cleaning glass effect stops dust and bird feces from sticking to glass, keeping glass surface clean longer. 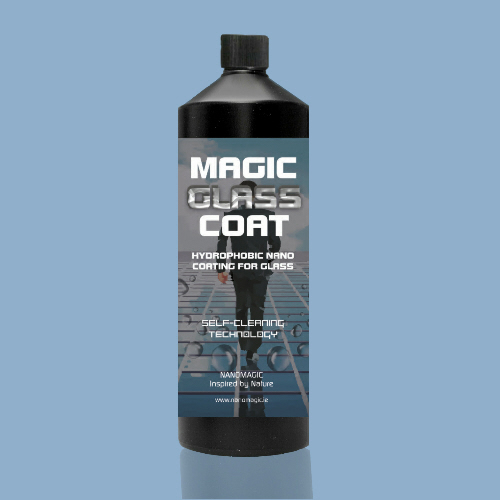 The hydrophobic properties repel water more quickly than uncoated typical glass Magic Glass Coat is an invisible, non-stick hydrophobic coating that reduces cleaning time by up to 90%. Application is a simple process of spraying the liquid coating onto a clean surface to provide a permanent protective bond. 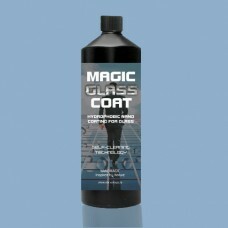 With Magic Glass Coat, the use of harsh chemicals is eliminated. Due to the reduction in cleaning, you use less water, so the benefit to the environment is cumulative and ongoing.